BY CONTACTING CRIME STOPPERS, YOU WILL REMAIN ANONYMOUS AND COULD BE ELIGIBLE FOR A REWARD OF UP TO $5,000.00. REMEMBER - If you submit a tip DO NOT LOSE your tip ID number. This is the only way for Crime Stoppers to identify you if you become eligible for a reward!!! 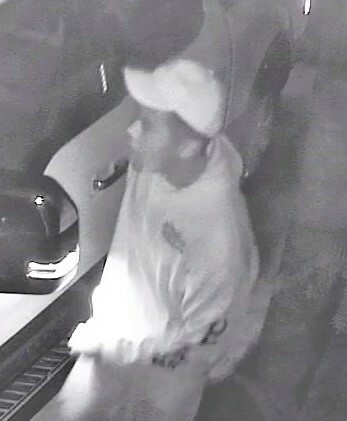 On November 15, 2018 at about 2:00 am two vehicles and several burglaries occurred in the Town of Ponce Inlet. Security surveillance caught the above suspect stealing one of the vehicles. The Ponce Inlet Police Department is seeking anyone who can identify the above suspect. If you have any information regarding this crime, please contact Crime Stoppers of Northeast Florida @1-877-277-8477, via the website or the Mobile App. 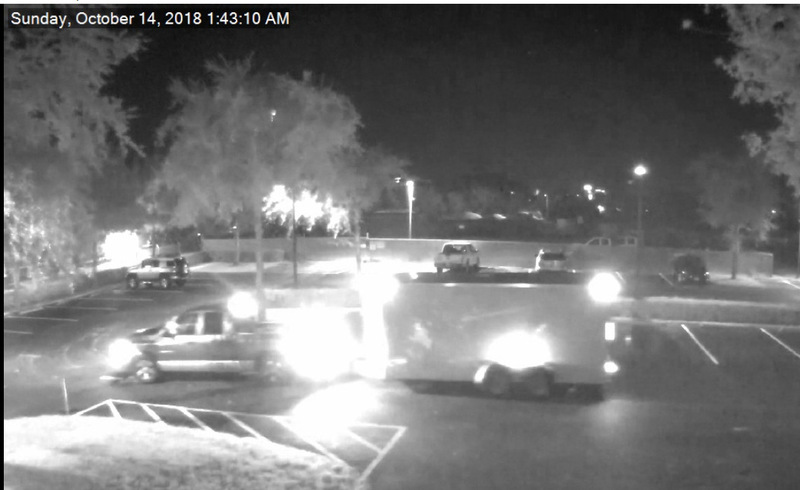 On 10/12/18 a 2016 Cynergy enclosed trailer was stolen from the Airport area in DeLand. On 10/14/18 the trailer was recovered at 750 Monroe Street in Sanford. The trailer was owned by a cabinet company. At the time of the theft, the trailer contained several thousand dollars worth of cabinets. At the time of the recovery the trailer was empty. Video from the recovery site showed a two toned 4-door Dodge truck dropping the trailer off on 10/14/18. 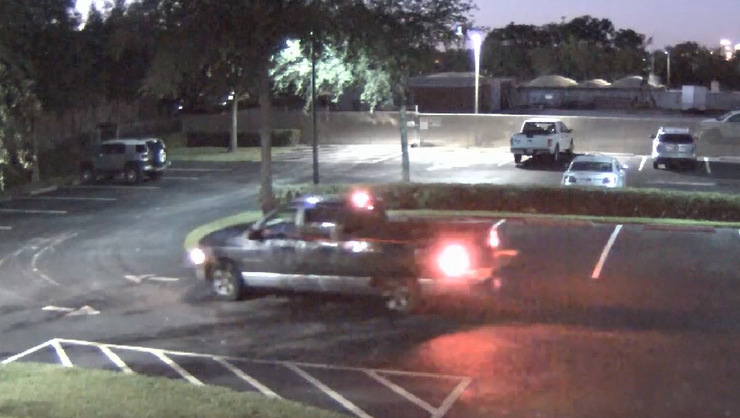 The same truck was captured in the parking lot the day prior on 10/13/18. A possible suspect has been identified as Kevin Velez. 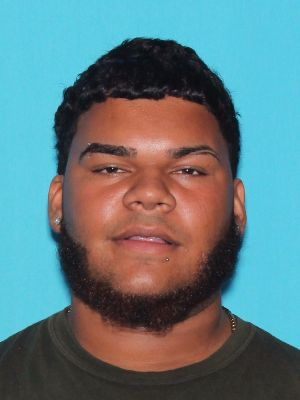 If you know the location of Kevin Velez, please contact Crime Stoppers @ 1-888-277-8477. You can remain anonymous. The Volusia County Sheriff’s Office is investigating a series of daytime residential burglaries in Deltona, and detectives are asking residents to be vigilant, check that their security cameras are in working order and to report suspicious activity in their neighborhoods. Nov. 1, 700 block Tralfalgar Street, sometime between 6 a.m. and 4 p.m.
Nov. 5, 1500 block Gainesville Drive, between 12:27 p.m. and 5:11 p.m.
Nov. 5, 1600 block Weybridge Street, between 11:30 a.m. and 2 p.m.
Nov. 5, 1600 block Brentlawn Street, between 10 a.m. and 2:01 p.m.
Nov. 5, 1500 block Dunlap Drive, between 12 p.m. and 10:30 p.m.
Nov. 6, 800 block Rockhill Street, between 5:15 a.m. and 2:44 p.m.
Nov. 6, 1200 block Wanda Lane, between 1 p.m. and 1:45 p.m.
Nov. 8, 1000 block Cobblestone Avenue, between 10 a.m. and 12:26 p.m.
Nov. 8, 800 block Halstead Street, between 11 a.m. and 4:06 p.m. In the early morning hours of 11/01/18 a shooting occurred in the area of Volusia Ave and Larry Drive in DeLand. The victim reported a white vehicle circled her and her associates who were walking. The occupants then fired several rounds at them. The victim was struck in an extremity and ran from the area. The vehicle left in an unknown direction. If you have any information regarding this incident, please contact Crime Stoppers @ 1-888-277-8477. You can remain anonymous. 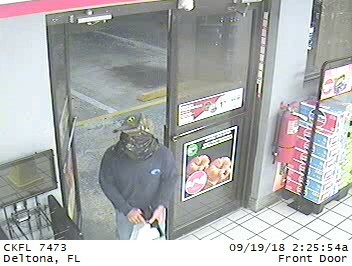 On 09/19/2018, during the early morning hours, a white male wearing a camouflage hat and a blue Costa brand long sleeved shirt entered the gas station and demanded cash from the employee. The male covered his face with a cloth or plastic bag and displayed a handgun. Suspect should be considered Armed and Dangerous. On August 13, 2018 deputies responded to the Church of Crist located at 1113 S. Thompson St, Deland in reference to the report of a structure fire. Upon arrival, deputies observed a 2000 Ford Mustang on fire. During a canvass of the area, deputies discovered a broken window at the church. After obtaining entry to the church, deputies discovered the interior rooms to be ransacked. After contact with an assistant at the church it was determined that numerous items had been stolen from inside the church. Anyone with information regarding this incident is asked to contact Crime Stoppers. On 08/04/2018, at about 10:26 pm, Deputies responded to a residence on Manitoba Street in Deltona, in reference to a burglary in progress. The victim was in his living room and heard the sliding glass door open. When the victim looked, he saw a dark figure standing in the doorway with the door ajar. The victim ran after the man as he fled the scene. The suspect was described as a male between 5’6"- 5’8" tall with a thin build, and was possibly a juvenile. Crime Stoppers is seeking any information regarding this incident or the identity of the suspect. On May 31, 2018, the victim was car jacked and her vehicle and 6 month old puppy were stolen. She was choked with the dogs leash and collar before being thrown from the vehicle. Suspects: Black male, approximately 18-20 years of age and a Black female about 18-20 years of age. The vehicle is a black 2015 Chevy Cruze, 4 door, bearing Florida tag IWPV54. The dog is a 6 month old terrier mix, gold in color with gold eyes (name of Luna). On Wednesday, March 14, 2018, two unidentified black females entered several businesses on Canal St. One suspect would distract the clerk while the other asked to use the bathroom. A short time later, the victims each discovered their credit cards had been stolen from their purses and were being utilized around the city. The pictured females entered Winn-Dixie, Publix, Walgreens, and Wal-Mart on S.R. 44 and then the Walgreens on beachside. In less than an hour, the two females purchased over $4,000 worth of American Express prepaid gift cards along with some other miscellaneous items using the victim’s credit cards. The females appear to be driving a black or dark blue 2005-2006 Honda CRV. A black male with facial hair and a birthmark on his neck entered a Metro PCS store in Deltona. The male grabbed two brand new iPhones and ran out of the store to an awaiting grey vehicle, driven by a white female.